Good plans, good deals, everything you need! I may or may not already have used that title, at some point, if that's the case, I'm sorry. See, that's why I don't bother looking for titles, usually. Plus, the dates remind me that I need to post more often. Well, that's is, usually, because I've been home for a few days and I miraculously wanted to blog at the same time. So I've been on a (blog) roll. Does anyone even still read this blog? I'm not sure, but you know what? I don't really care. Special thanks on this one to my friend Saffron, who told me to go to Backdrop city when I was looking for an urban/office decor for my picture. These skins are all shown on LeLutka Simone Bento head, with Banana Banshee Rosie shape and Lust eyes, and Magika Sudden hair. It took me weeks to take it. I acquired the gorgeous gown on the 15th. There was an issue with delivery so I only got it a few hours later. Then I wanted a new skin to match it, and I tried pretty much every skin maker on the grid to find the one. I tried I think 50 demos, took pictures of the good ones, sorted them, and ended up with 20, that I showed my friends... took me 3 days to decide. Then there was the hair. Since I buy tons of hair already, I have a rule to never buy new hair for a post. Which meant I had to try my whole hair folder to find the perfect match. Three more days. Good thing I am not showing any shoes or I'm not sure I would ever have finished. Jewelry was easier, I knew I wanted something from Cae, that I have been dying to try. I wasn't disappointed. Location : The Burrow Coffee Co.
Another preview for the Bling hunt starting in two days! 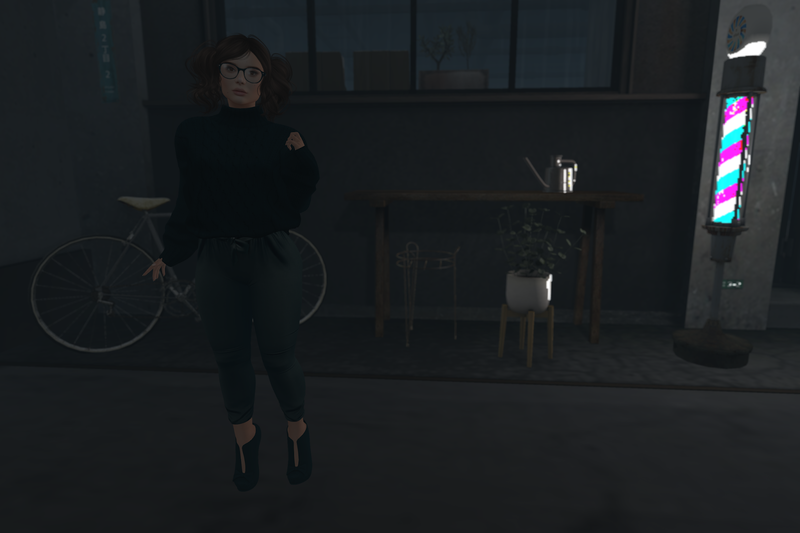 TresBelle - The Best Apparel in SL! NEW CARINA STYLE @ SOIREE! ULTRA MESH TOES NAIL FOR SLINK FEET ! ::Poised:: Unique daring fashion in SL! ezura Xue + Final Day Sim Sale! 50% OFF! Look At The Cat's Pictures ! Thanks for visiting our blog !